Guest post time! 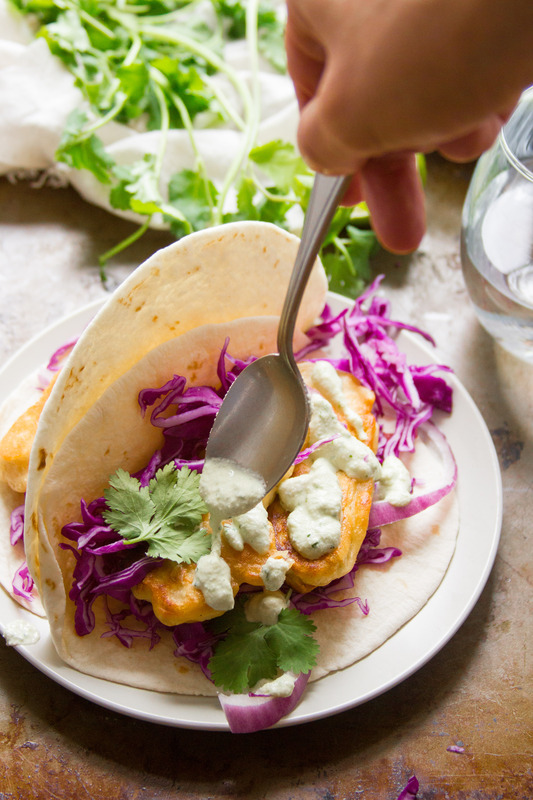 Today we’re sharing a beer-battered tofu taco recipe from my friend Alissa, who blogs over at Connoisseurus Veg. If you’re looking for creative vegan cooking ideas, her site is going to be your new favorite. A lot of people assume that eating vegetarian means eating bird food. I know: I’ve been eating this way for a long time. And while I consider my diet to be generally pretty healthy, I do love an occasional treat. Especially one that puts your typical non-vegetarian indulgence to shame. If you’re like me and all about that (once in a while) decadently delicious meat-free meal, well I’d like to introduce you to your new best friend: beer battering. I’ll admit, the concept to beer battering intimidated me for a while, mainly because I’m not a fan of deep frying. So much oil! And potential splattering! And don’t even get me started on cleanup! 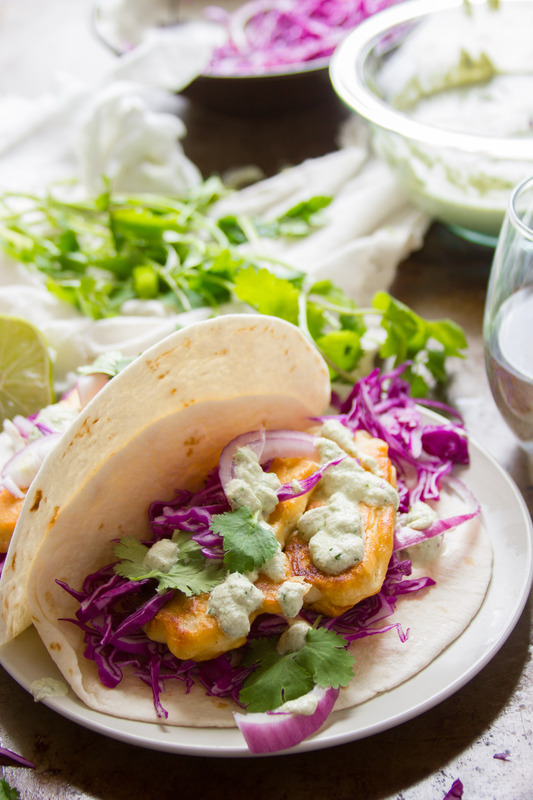 The nice thing about the beer-battered tofu in these tacos is that it’s not deep fried, but it’s just as tasty. This tofu is shallow fried. You slice it into thin strips, so you only need about 1/3 cup of oil, or enough to reach about halfway up the thickness of the tofu strips while they cook. Batter the strips and fry them for about 3 minutes on each side, and they’ll be just as golden and crispy as if you had deep fried them. I whipped up a quick veganized version of classic Baja sauce to dress these-beer battered tofu tacos. Cashews give the sauce a nice creamy base, and it gets flavored up with some cumin, a jalapeño pepper, garlic and cilantro. The sauce is absolutely delicious (I’d totally eat it with a spoon!) but feel free to switch things up and serve the tacos with your favorite salsa or guacamole instead. Crispy shallow-fried tofu makes the best vegan taco filling ever. Place the cashews, ½ cup water, lime juice, jalapeño pepper, garlic, and ½ teaspoon of salt into the bowl of a food processor fitted with an S-blade. Blend until smooth, stopping to scrape down the sides of the bowl as needed, thinning it with up to an additional ¼ cup of water if needed. Add the cilantro to the bowl and blend just until it’s finely chopped and well incorporated into the mixture. Taste test and season with additional salt if desired. Slice the block of tofu width-wise into 4 slabs of equal width. Turn each of the slabs onto its side andslice it into 4 thin strips. You’ll have 16 strips that should each be between 1/4 and 1/2 inch thick. In a medium bowl, stir the flour and salt together. Slowly pour in the ale and whisk the mixture together just until smooth. Coat the bottom of a large, flat-bottomed skillet with about 1/8 of an inch of oil, then place the skillet over medium-high heat. Allow the oil to heat up for a few minutes, then test it by dropping a tiny bit of batter into the oil. The batter should start bubbling around the edges within a couple of seconds. If it doesn’t, give the oil a few more minutes to heat up. 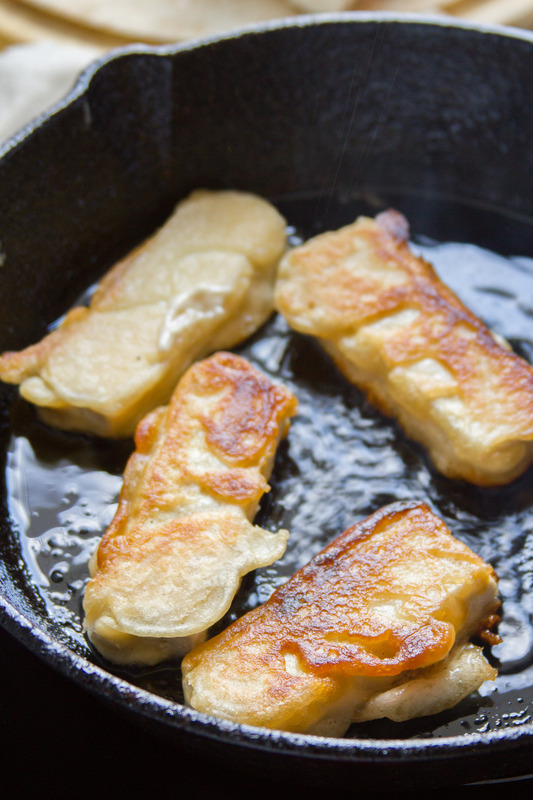 Dip a tofu strip into the beer batter to coat all sides, then arrange the strip in the skillet. Repeat for as many strips will fit into the skillet without crowding. Cook the tofu strips for about 3 minutes on each side, until golden brown and crispy. Transfer the cooked tofu strips to the paper towel-lined plate. Repeat this process for all of the tofu strips, adding oil as needed between batches. Stuff each tortilla with 2 tofu strips, a small handful of cabbage, and a few onion strips. Drizzle with Baja sauce. Serve. Reheat any leftover tofu strips by arranging them on a baking sheet and broiling for a fewminutes on each side. They should crisp back up nicely.